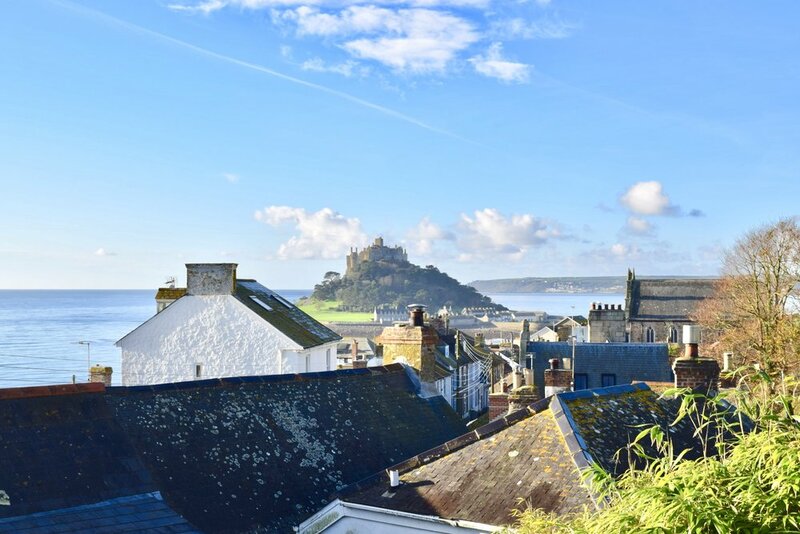 The Upper Deck is a stunning B&B occupying the entire upper floor of Britannia House; a substantial Victorian property located in the heart of the historic seaside town of Marazion, just a 3 minute stroll from the centre of the town with its fabulous beaches and the causeway to St Michael’s Mount Mount. 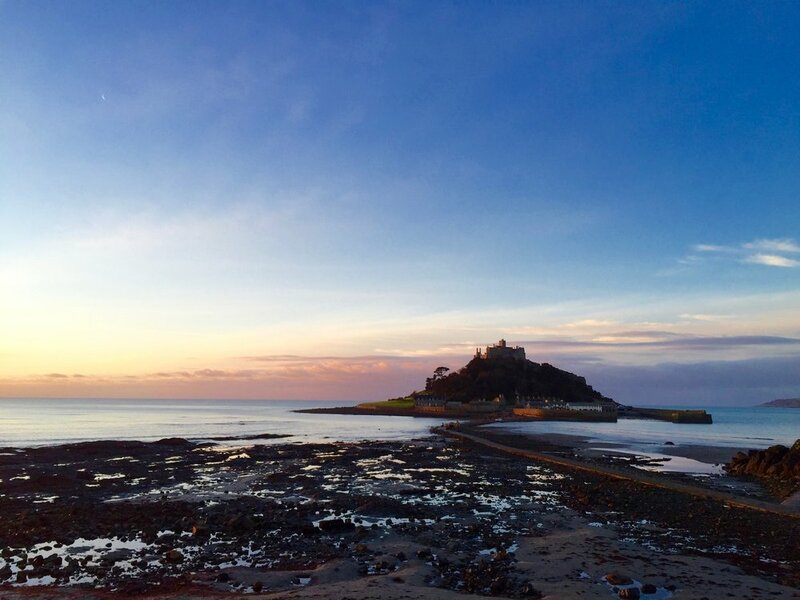 The beautifully spacious room offers stunning panoramic views across Mounts Bay encompassing the iconic island fortress of St Michael’s Mount and looks out over the open ocean – a perfect place to stay, unwind and simply enjoy your surroundings. With just one top floor bedroom suite, you can be assured of a warm welcome from your hosts; and friendly, knowledgeable personal attention throughout your stay. We offer a high quality freshly-prepared Cornish breakfast served in the privacy of your room between 8.30am and 9.30am using locally sourced seasonal produce wherever possible. A permit is provided for free off site parking a short walking distance away. Alison & Paul Elliott are respected 4 Star B&B hosts having achieved National Awards including the 2014 AA Friendliest B&B in the United Kingdom finalists, Visit Cornwall Best B&B Breakfast runners up and a Gold Cornwall Healthy Eating & Food Safety Award. 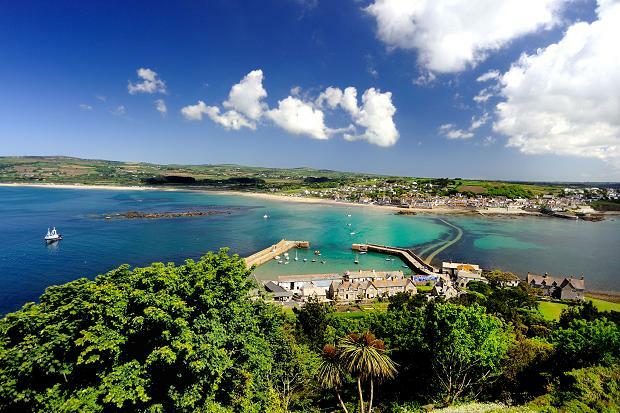 Paul & Alison ‘downsized’ to Britannia House in 2016 to concentrate on their expanding holiday cottage management company and to run the Upper Deck B&B from their home in Marazion. The Upper Deck comprises the entire top floor of Britannia House and enjoys stunning sea and Mount views. The room has a comfortable king size bed with crisp white cotton linen. There are two comfortable arm chairs to relax and watch the flat screen TV, listen to your favourite music on our Bose sound system, or sit back and read a book. The dinning table has two Lloyd loom chairs placed to enjoy the sea view over breakfast. There is a fridge for fresh milk and cold water, a toaster and a generous hospitality tray. The en-suite bathroom has an electric shower over the deep bath. Fluffy bath towels and luxury Cornish toiletries are provided for you to use. Breakfast is served at the dining table in your bedroom at a time to suit you between 8.30am and 9.30pm, or earlier by arrangement. Local Smoked Bacon and Sausage, Hogs Pudding, Local Free Range Eggs, Field Mushrooms & Cherry Tomatoes. Vegetarian Sausage, Field Mushrooms & Cherry Tomatoes, Hash Browns & Baked Beans. Local Free Range Eggs Scrambled or Poached on Wholemeal or White Toast. Newlyn Smoked Salmon with Toasted English Muffin and Scrambled Eggs. We use local seasonal produce and ingredients as far as possible to give you that unique flavour of Cornwall. Please advise us at the time of booking of any special dietary requirements or allergies. 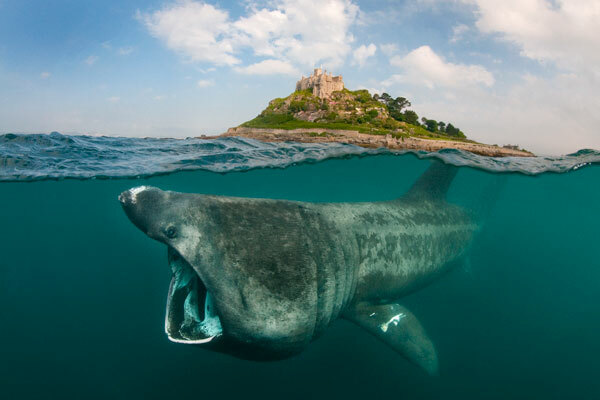 In common with most Cornish bed and breakfasts, a minimum of two nights stay is preferred, and a minimum of three nights on Bank Holiday weekends. We may take bookings for single night stays at our discretion (to fill gaps in the calendar), however a surcharge may apply. Please note – The Upper Deck is on the top floor accessed by two flights of stairs, so it may be unsuitable for guests with limited mobility. A Payment of a 25% deposit is required within 24 hours to confirm your accommodation request. If your deposit is not received within this time, the accommodation may be re-let. Confirmations will be sent by e-mail. The remaining 75% balance is due 3 weeks before your arrival. Payment by card can be completed securely on-line or by telephone. All major credit cards (except American Express) are accepted. We also accept BACS transfer and UK checques. Please see our full T&C’s for our Cancellation Policy. Guests are welcome to check in at the Upper Deck any time between 5.00pm and 6.00pm and check out is by 11am on your day of departure. If you would like to arrive earlier or leave later then please contact us in advance to discuss arrangements. A key safe code can be provided for arrival times when Paul & Alison are out, or for ‘out of hours’ arrivals. From time to time when our family of friends visit there may be children or a pet dog in our home, we regret that we are unable to accommodate guest children of any age and we do not accept pets belonging to guests. The Upper Deck has a strict non-smoking policy, including E-cigarettes.